Term insurance plans – Term insurance policies are very popular now a day. Premium rates of such policies are very low, companies are advertising term plans in a big way. Financial planner always advice that term plan is best for insurance, as it covers high risk at low price. The premium of term plan is lowest compared to ULIP, endowment or money back plan. Term plan policy is purely for risk cover. There are many term insurance plans in India, but all of them have different features and premium rates which confuses a prospective customer to choose the best term plan. Look at following comparison chart and Important features before purchasing term plan. 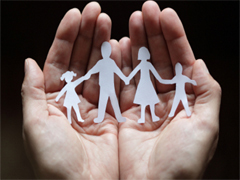 It is a pure Term Insurance Policy can be purchased online without any agent intervention. Option to move to other non-term plans of Kotak Life Insurance. Option to Step Up the life cover on any event without any medical underwriting with an additional premium. On Marriage- 50% of the Sum Assured can be increased. House Purchase- 50% of the Sum Assured can be increased. Birth or Legal Adoption of a child- 25% of the Sum Assured can be increased. On 1st, 3rd and 5th policy anniversary- 25% of the Sum Assured can be increased. This option can be exercised at one or more of the events listed above, provided your total revised Sum Assured is not more than 3 times your original Sum Assured. The policy can be Stepped Down also if further increase in sum assured is not required. Option to move to other non-term plans of Kotak Life Insurance is also available at any time except the last 5 years of the policy. There are options for single and limited pay along with regular payment options. Additional cover with riders is available and Special discount is given for Non-smokers. High coverage till 70 years of age and 35 years of policy tenure. The plan offers high levels of cover at lower premiums. Provides a large sum assured discount for sum assured more than Rs 25 lakhs. There is a variant of the plan, called Option A, in which the premiums offered will not be returned. The details mentioned in this page are for Option B which is with return of premium. It has inbuilt Waiver of Premium rider for Total Disability and Accidental Benefit and Total and Permanent Disability riders. The rider can be added at inception or any other policy anniversary. There is Mid Term benefit available, which is not available in any other similar policies in the industry. Additional rider benefits of Accidental Death and Accidental Death, Disability and Dismemberment benefit. Single and limited premium payment options available. There is a guaranteed surrender value available for this policy. After paying for 15 years, if customer chooses not to pay any more, then also reduced life coverage continues till the end of the policy term. Discount is provided for female and non smokers and amazing discount for healthy non-smokers above Rs 50 Lakhs Sum Assured. Additional benefit of Accidental Benefit and 10 most common Dread Disease Benefit available as rider. Looking at above term insurance comparison you must have got fair idea about various term plans. So,Which term plan do you have currently ? If you are planning to buy one, which one you will you buy & why? Give your suggestions in comment section! My age is 33 and I am planning to buy a term insurance worth 1 Cr,I smoked one or two cigrettes a day for 5-7 years and now I have completely given up smoking for last two years,I would like to know this will impact my policy and what should I mention in the form?? As you have given up smoking habit ideally it should not impact to your policy. In form you have to mention that you were smoking earlier.Insurance company may ask you to undergo medical checkup before issuing policy. As per me you should divide your coverage in two policy. (may be 50 lakh and 25 lakh). I feel HDFC Click2Protect, ICICI i-care is good plan. Please look for claim settlement ratio before purchasing any plan. Religare iTerm and Bharti Axa eProtect are good plan. we both are govt. employees our ages are 54, 55, still we have service 4 and 5 yrs respectively. can you suggest me good insurance plan premium payable up to 5 or 7 yrs.